Last night, HubSpot was honored by the Boston Business Journal as the 2nd Best Place to Work in Massachusetts at the BBJ's annual awards ceremony. 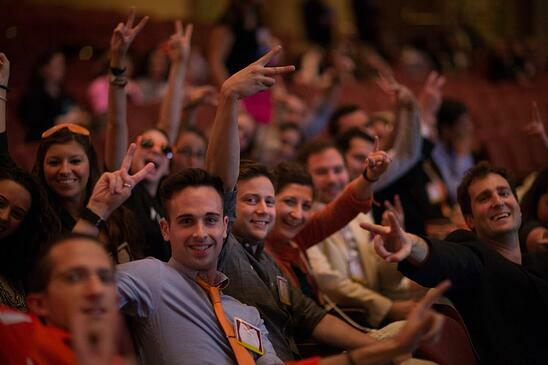 Over 80 companies were represented at the ceremony, held in downtown Boston's Citi Wang Theater, all anxious to see who would claim the top spots in the small, medium, and large company categories for outstanding company culture and employee perks. The BBJ recognized HubSpot's tuition reimbursement program, always-stocked kitchen, and its transparent environment of encouraging employees to approach executives (because they don't have offices). "Thanks awesome HubSpotters! The reasonable thing to do would have been to say my three words, and go sit down. But, we've never aspired to being known to be a reasonable company. So, I want to thank the entire HubSpot team for being unreasonable. Thanks for being unreasonably transparent and trusting of the company and each other. Thanks for being unreasonably demanding of what you expect from each other. And, most importantly, thanks for being unreasonably passionate about transforming how thousands of organizations do marketing and building an awesome company in Boston." Shah later commented, "When I walked up to accept the award, I I knew I wasn't going to give the best acceptance speech of the evening, but I figured I had a pretty good chance of delivering the longest and most expensive one. We were humbled to be honored, and more than happy to share our good fortune with Habitat for Humanity." The BBJ Best Places to Work Awards are run through Quantum Workplace's employee survey platform that gauges employee happiness and development at a company. 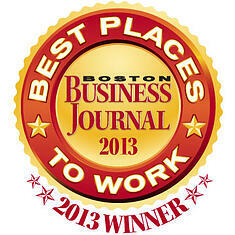 HubSpot won Massachusetts' #1 Best Place to Work in both 2010 and 2011 at the BBJ Awards, and was named #2 in 2012.